alaTest ha recogido y analizado 36 comentarios relacionados al producto Nikon TRAVELITE EX 12X25CF. En promedio, la calificación para este producto es 4.7/5, al ser comparado con la calificación 4.2/5 de otros productos en la categoria Binoculares. La gente está impresionada con el tamaño. La funcionalidad también consigue buenos comentarios. Analizamos las valoraciones de los usuarios y los expertos, la edad del producto y demás factores. Comparado con otros Binoculares el Nikon TRAVELITE EX 12X25CF recibe una alaScore™ global de 89/100 = calidad muy buena. Easily carried in a pocket. Good image. Bright on a clear day. Small depth of field but to be expected with 10 magnification. light and easy to use in situations where full size binoculars are not apropriate. I have Swarowski 10x42 el which were £1700 and the nikon aren't quite as bright but certainly are quality! Not sharp view for long distance objects. Fantastic vision through the binoculars - used for bird watching and they worked really well. Strap and lens covers are fiddly and do come undone. When this happened we lost the (previously carefully attached) lens covers. Excellent product would definitely recommend and the service was amazing ordered in the afternoon received following day, well done especially at christmas. The image is not quite pin sharp at the edges but who looks at the edge ?! 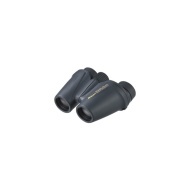 These are great, light travel binos with good magnification for their size. Especially good is the right eye correction which has a click mechanism, so once set (easily) does not go out of focus. Simple idea, works really well.